Children these days are all too happy to spend their time inside on tablets and gaming centers, but that might all change if they had off road go karts. If you believe your children are spending far too much time indoors, it might be time to invest in a toy that would enable them to get outside far more often than not. An off road go kart could be that very toy. Off-road go karts are the perfect recreational toy when used as recommended, and while they do require parental supervision and have an age limit, they can be a lot of fun for the whole family. 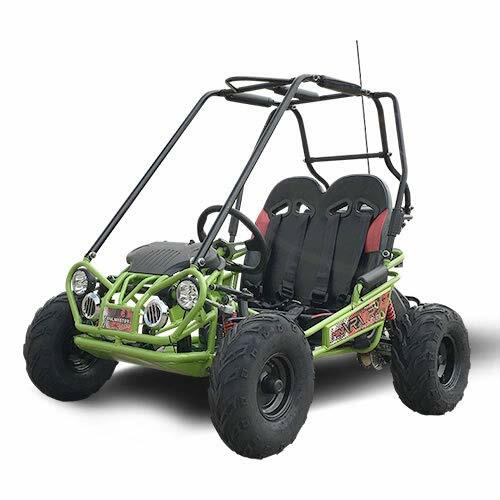 You can buy sizeable off-road go karts to cater to the teens and adults, or even smaller ones that are speed-restricted and safer for children. The sky’s the limit for the options available. If you’re worried about maintenance and your child is just learning, you can opt for an electric off-road go kart with settings to change the speed limit. If you’re an expert and you want a challenge, you can also choose a gas-powered kart with upwards of 30-mile limits and powerful water-cooled engines. 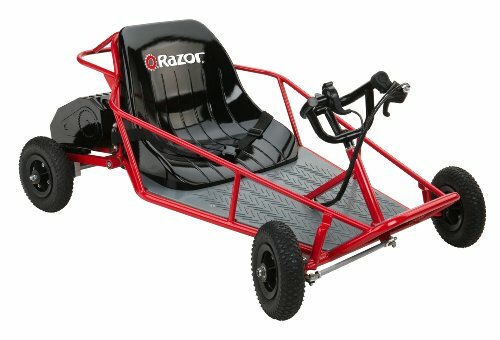 These go karts also have additional safety features such as padded roll cages, four-point harnesses and kill switches. There are also plenty of colors and styles to choose from, so you and your friends can all choose a different one and head out onto trail rides together. Some look like standard go karts, while others have more of a “car” look. Whatever you need, you are sure to find it online. In fact, we’ve included nine top-rated options that are sure to pique your interest below. If you’re surrounded by the great outdoors and are looking to enjoy it in the best way possible, it might be time to consider purchasing an off-road go kart from Coleman Powersports. Designed as a tandem cart to carry two people, it can provide years of entertainment, while being safer than many other off-road go karts on the market. It uses modern power technology and materials to be easy to start and keep going while being kitted out with contemporary safety features for your peace of mind. Regarding power, this off-road go kart has plenty of it. It has a four-stroke OHV single cylinder engine, boasts an impressive 6.5 horsepower, and offers 196cc of power. What’s more, it features an easy pull start function and has a torque converter CVT system as well. If you need to stop in a hurry, you can rest assured this go kart has plenty of stopping power. It offers hydraulic disc brakes and even has rack and pinion steering for better control and maneuverability. It’s also entirely automatic, meaning there is no complicated gear changing for those who haven’t learned to drive stick. If you’re worried about safety, don’t be, for this off-road go-kart has been designed to be safer than many other models on the market. It has a roll cage with full padding, two secure seats, and four-point safety harnesses. It can also handle rugged terrain and can carry up to 400 pounds of weight. If you’re ready to hit the trails, this off-road go-kart is the machine to do it with. If the trails are calling and you want a high-quality off-road go kart to get you there, this one may just tick all the boxes. Priced competitively on the market but not compromising on quality, it’s the very thing you need to spend more time outdoors in the warmer months. It’s built to last, features premium safety features such as a kill switch, padded roll cage, and four-point safety harness, and it also has a rear hydraulic disk for powerful braking. If you’re up to 150 pounds in weight, it’s a good option for you. If you want something that packs a punch regarding power, this machine delivers. It has a 3HP, 98cc engine, and is also a four-stroke model. It gets going with ease thanks to the easy pull start function, and also has excellent steering and maneuverability with its low-pressure tires. What’s more, it’s an attractive off-road go kart that will stand out from the crowd. Don’t delay in adding this to your shopping cart today. If your homemade go-kart just isn’t cutting it, you need this Coleman Powersports go kart. Packing a punch in style, innovation, safety, and speed, it’s every outdoor enthusiast’s dream ride. Regarding safety, your peace of mind will be secured. 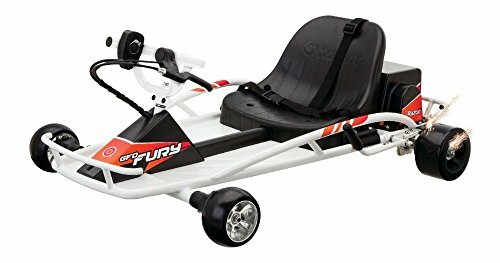 It offers a kill switch to stop the engine immediately, a padded roll cage to protect you if it tips over, and it also has a durable and robust four-point harness to keep you well secured in the go kart. If you need to brake in a hurry, this machine can do it well. It has a high-quality rear hydraulic disk and a foot-operated braking system which can have you stopping in a hurry in no time. If you’re under 150 pounds, this is the off-road go kart for you. It’s powerful, with its 98cc 3HP engine, and also has low-pressure tires to make riding those rocky trails a little more comfortable. What’s more, it’s robust and built to last with its 13-gauge and 16-gauge tubular frame that handles a lot of pressure on a daily basis. Get ready to enjoy many hours of fun in the great outdoors with this off-road go kart. When you’re ready to hit the trails, but the kids need an off-road go-kart of their own, consider purchasing this 200cc kart from Trailmaster. Designed for children, it features top-of-the-line safety functions that make your outdoor experience a far better one. With dual seats, both of your children can enjoy the ride, and you can benefit from the peace of mind that they are safer than if they were on a motorcycle or a kart of lesser quality. It has a full upper road cage, a robust steel frame, side rails and also has seat belts, so they are strapped in well. While it packs a punch in terms of power, it has exceptional handling to go with it. It has a four-stroke single cylinder 6.3HP 200cc engine, can handle 400 pounds of weight, has both an electric and kickstart starting system, and can reach speeds of 31 miles per hour. For that tougher terrain, you can rely on this off-road go kart to handle it. It can also travel with a climbing ability of 12 degrees. While it has a very affordable price tag, you can also rest assured that TrailMaster looks after its customers. It comes with a 90-day warranty for defective parts, as well as a six-month warranty for the engine. Off-road go karts are a lot of fun, but not all children are ready for the “real deal” just yet. If you want to try out a go kart to see if your child can handle it, this smaller electric go kart could just help get them started. They can have all the fun they would on a standard gas-powered go-kart, but without the power, speed, and added risk. It’s built to last, is rugged in construction, and is electric to cut down costs and maintenance of a gas motor. It offers two hours of run time, takes between six and eight hours to charge, and has adjustable speed control of between 0-10, 0-13 and 0-17 miles per hour. What’s more, the motor is far easier to maintain than that of a full-size off-road go-kart motor. It has a 1,000-watt brush motor, a 48-volt battery, and doesn’t require any oil or gas. As such, you just need to charge it up and enjoy two hours of run time with ease. It’s that easy. While it’s electric, it doesn’t make it any less grunty than its petrol-powered counterparts. It has disk brakes, all-terrain tires, and looks just like a real off-road go kart. It’s also made out of durable steel while being designed to look and feel sturdy for any child. As a stepping stone, this off-road go-kart is well worth your consideration. 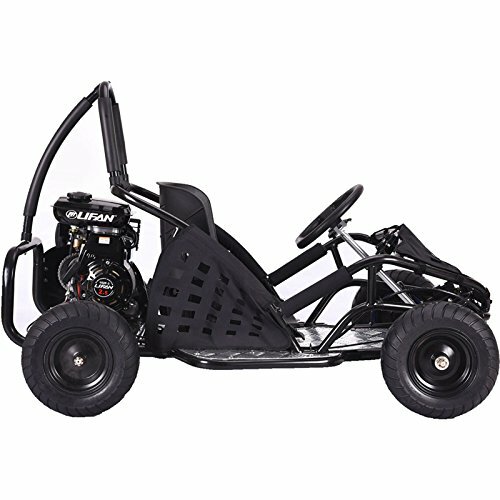 When you’re ready to take your love for the outdoors and go-karting to the next level, you need this off-road go kart from Coleman Powersports. Designed to handle the toughest terrain and conditions you can throw at it, you will love what’s on offer at an affordable price. It has a powerful 6.5HP, 196cc four-stroke single cylinder engine, is smooth to start with a pull start, and even has a torque converter CVT system. What’s more, maneuverability is a breeze thanks to the rack and pinion steering, and you can stop at a moment’s notice with the hydraulic disk brakes as well. When it comes to safety, you want to feel like your go kart has you covered, and this one well and truly does. It has a roll cage, padding over the roll cage, a kill switch, and a four-point harness. Its frame is also robust steel meaning it’s high-quality and built to last. 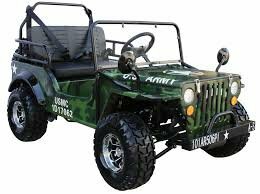 You will stand out from the crowd with the camouflage color scheme, and enjoy hitting the trails in an off-road go-kart that’s built to handle whatever nature can throw at you. While available with a slightly higher price tag than other off-road go-karts for sale, you certainly get good bang for your buck with Berg USA. This 220-pound Grand Tour 2-seater off-road go-kart is ready and able to take your off-road travels to an entirely new level. It’s made with robust, high-quality materials, is exceptionally lightweight, looks striking, and complies with all safety regulations as well. It’s also almost maintenance-free and can carry two people with plenty of space to spare. With a vibrant orange color, you will stand out from the crowd, all the while being taken down country trails thanks to the powerful motor, quality brakes, and hardy tires. There’s every reason to consider purchasing this off-road go kart today. 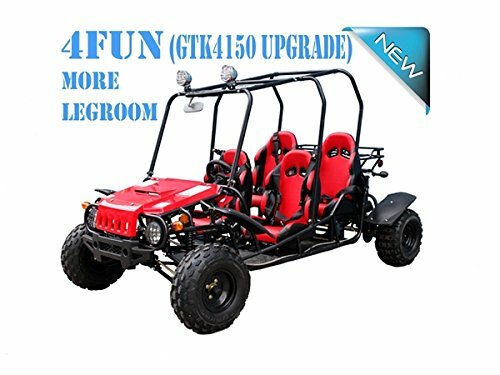 If you’re looking for an off-road cart with a difference, this TaoTao off-road go-kart could be a good option for you. While it does everything that a standard go kart does, it also bucks the trend with a style and design unlike anything else on the market. In fact, it looks more like a small car than it does an off-road go-kart, so it stands out from the crowd. When you want power, you’ve got it. 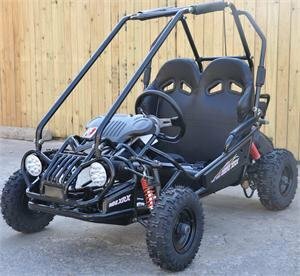 This off-road go kart has a 125cc single cylinder four-stroke engine which is air cooled and has an electric start function. It starts every time and will provide you with hours of entertainment on those often-challenging back trails. 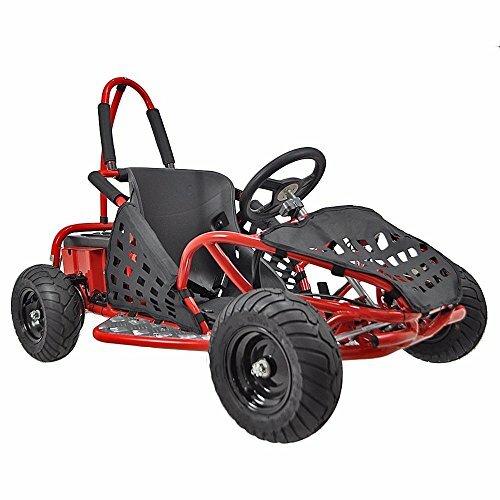 It offers premium torque, is semi-automatic with three gears, a neutral and reverse function, and it’s also very well built for people of varying go-karting abilities. 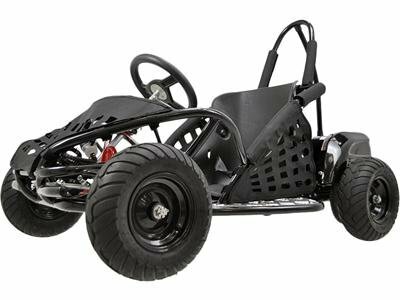 This go kart is also very affordable and is one of the cheapest options on the market – both online and instore. However, that doesn’t mean it’s any less capable. It’s robust, can carry two people, and even has lights and a roll cage. It’s a premium product that’s well worth investing in for your recreational requirements. Not all off-road go karts are created equally, so if you need one that is hardy, full of life, robust, and reliable, consider this off-road go-kart from Trailmaster. Designed for the experts, it features a 300cc water-cooled engine that will provide you with endless pleasure and minimal hassles. It has a top speed of 50 miles per hour, has a climbing ability of 18 degrees, and even starts quickly with an electric start function. Wherever you are wherever you’re going, this off-road go kart can take you there. What’s more, its turning capacity is exceptional. It has an independent swingarm and will provide you with outstanding maneuverability. Safe, sturdy, and ready to take you onto the trails today, consider adding this go kart to your wishlist now.